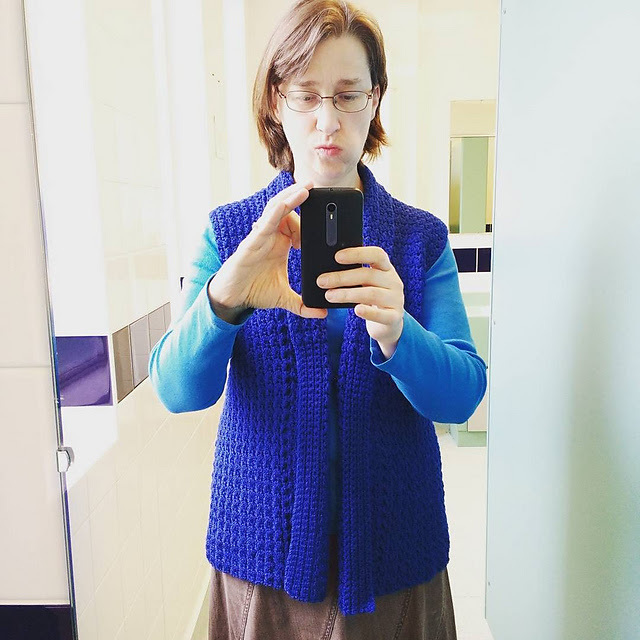 I started work on this shawl collared waistcoat back in November, based on a pattern from "Custom Crochet Sweaters (Dora Ohrenstein)". 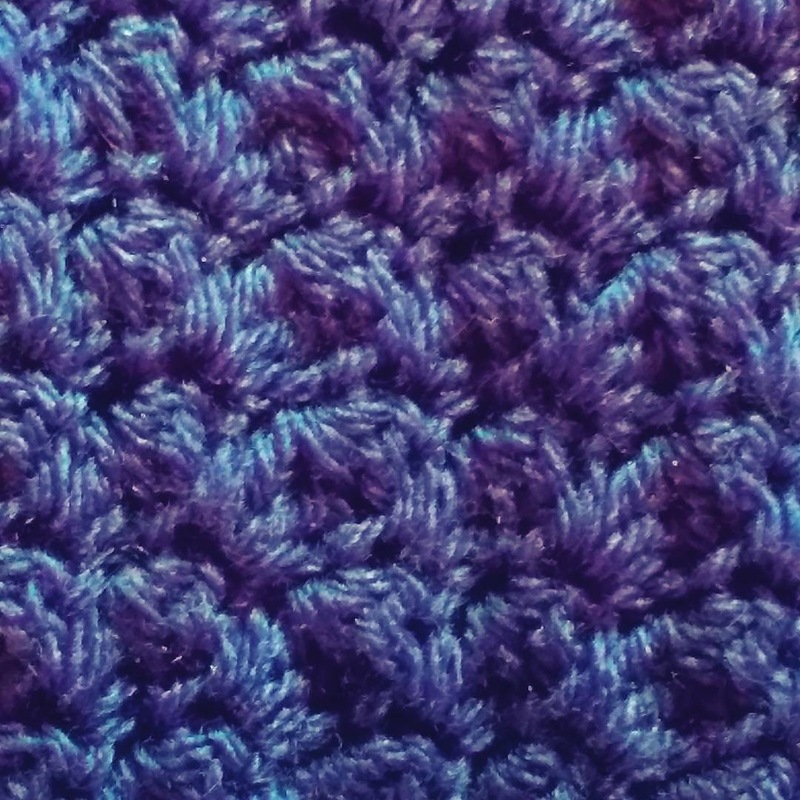 It was not overly complicated but had the novelty factor of being worked vertically with increases based on changing the stitch height. Everything started well and I made good progress, but misunderstood the increase instructions and didn't notice until I had almost finished. I wouldn't have been happy with the finished result, so I ripped the whole garment out and remade it, finally placing the last stitch on Christmas Eve. By this point I had lost the love entirely so put it aside, only taking it out last month to reluctantly sew it together. I'm glad I persevered though as I think it turned out well. Worked up in Wendy Mode DK on a 5.5mm hook I had to rework the pattern a fair bit as usual, I couldn't make gauge, this is why I got lost on the increases. My interpretation of the word 'repeat' and whether it includes the original instruction on what to repeat, differed from the designers intended meaning. As I had to adjust most of the stitch and row counts, it is easy to see how I got confused. 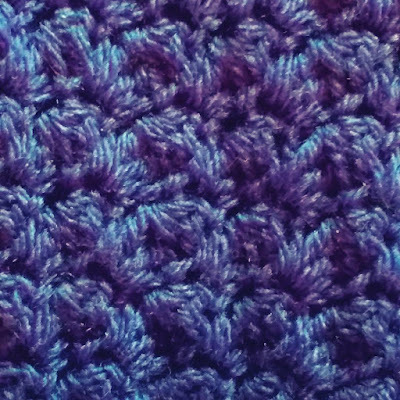 The stitch pattern combined dc and tr in a cluster, reminding me of my favourite baby blanket. It was easy to memorise and works up quickly, which is why I was able to make this whole garment twice in under two months. The only delay was I couldn't face sewing it together. 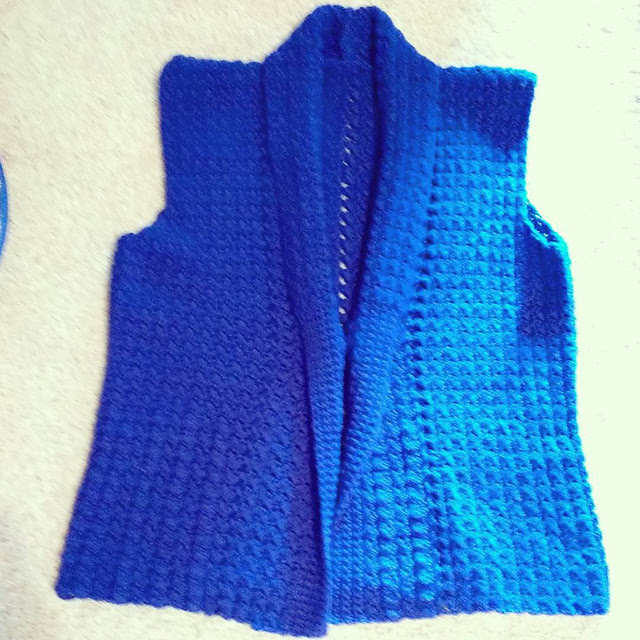 I fastened the front with a single snap as recommended by the pattern. The stitches had to be stabilised, by darning into the clusters to produce a firmer fabric before sewing the snap on. The only real issue with the design is the curl on the bottom of the front pieces. I tried steaming the area before making up which helped a little but didn't completely eliminate the problem. As Wendy Mode is 50/50 Merino Wool/Acrylic I didn't want to do more for fear of killing the yarn. So in summary, this should have been a quick and easy made which was complicated because I couldn't hit gauge so had to rework all the numbers. It was however completely worth the effort as it is a lovely waistcoat and has already made it into regular circulation as part of my wardrobe.